Almonds are one of the most iconic fruits grown in California. These trees bloom beautifully starting in February to early March with pink flowers that closely resemble those of its cousin, the peach tree. Fruit production begins from August to September and trees can produce anywhere from 30-50 lbs. per tree, with some variation in cultivars. 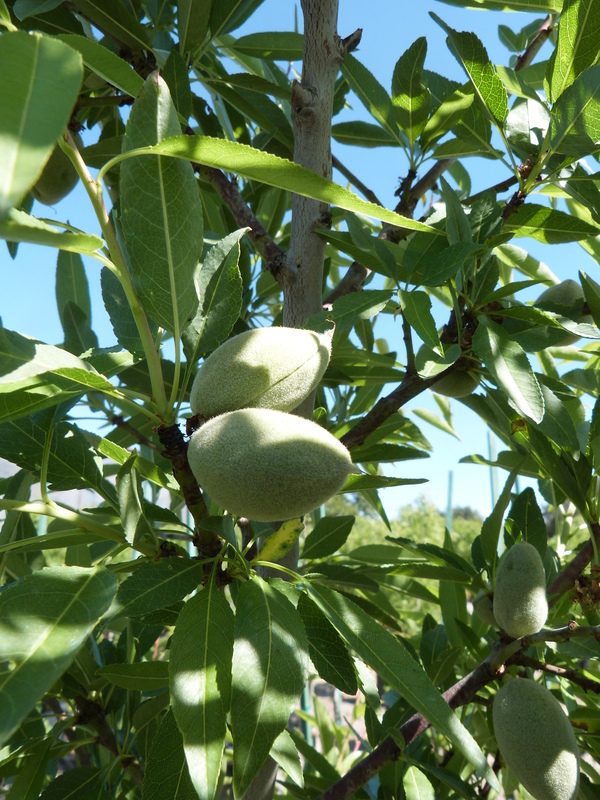 In an urban or home garden, keep in mind that most almond varieties are not self-fruiting. You’ll need to plant more than one tree for adequate cross pollination. However, the semi-dwarf ‘All in One’ is self-pollinating and is the perfect size for a small urban landscape; reaching only 12–15′ tall and 15–20′ wide. If you are looking for fast growth then ‘Ne Plus Ultra’ is a good choice, but be sure to give it some room to spread. While all cultivars we carry have wonder fruit, ‘Nonpareil’ is the most common grown commercially due to its high production quality. A good cross pollinator for ‘Nonpareil’ is ‘Texas Mission’. Its unique white flowers, dwarf size of 10-15’ also make it attractive choice for smaller home gardens.